One of my favorite things about summer is tomatoes. You really can’t get anything better than a late summer tomato. They always have amazing color and flavor that just can’t be matched any other time of year. 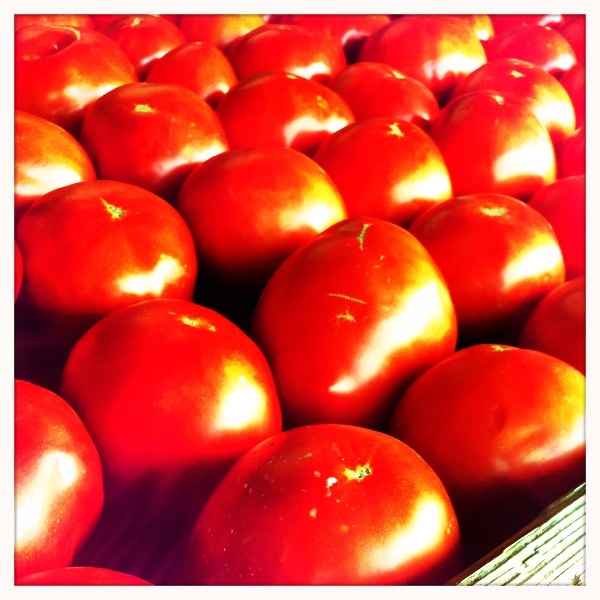 My favorite place to get tomatoes is the tomato barn in Washington Boro, Pa. I went for a ride the other day to pick up their famous Jet Stars. They claim to be “the sweetest tomatoes on earth” and I believe them. 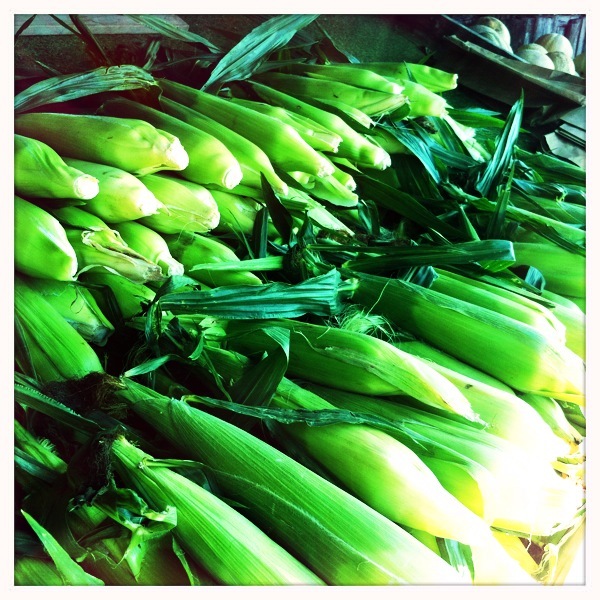 They are sweet, juicy and that bright red that reminds me of the fourth of July. I love seeing the tomatoes and other veggies all lined up together in the barn. I couldn’t help taking some pictures. I always end up buying the “seconds” tomatoes. They aren’t perfectly round and they have some lines across the bottoms that I guess make them less desirable. I kind of like the messed-up look to them and for some reason I think they taste better. They look like a lot of heirloom varieties that grow in all funky sorts of shapes. They are also cheaper… you get a big flat box for $5! 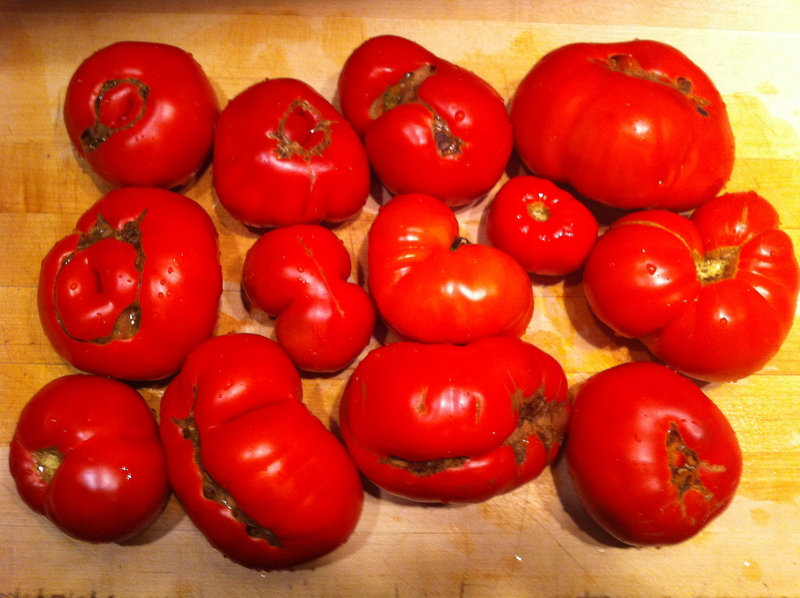 I am going to use most of them to make sauce and salsa… I think they have character. 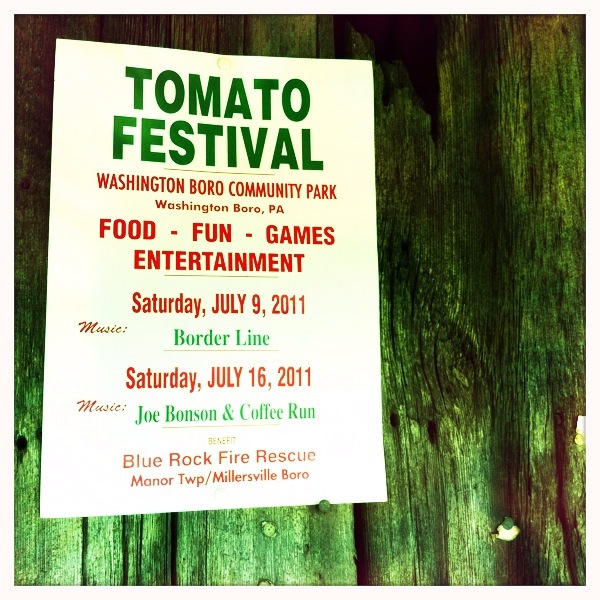 I noticed that the Tomato Festival was this Saturday! So of course I had to go, it’s one of my favorite events of the summer. 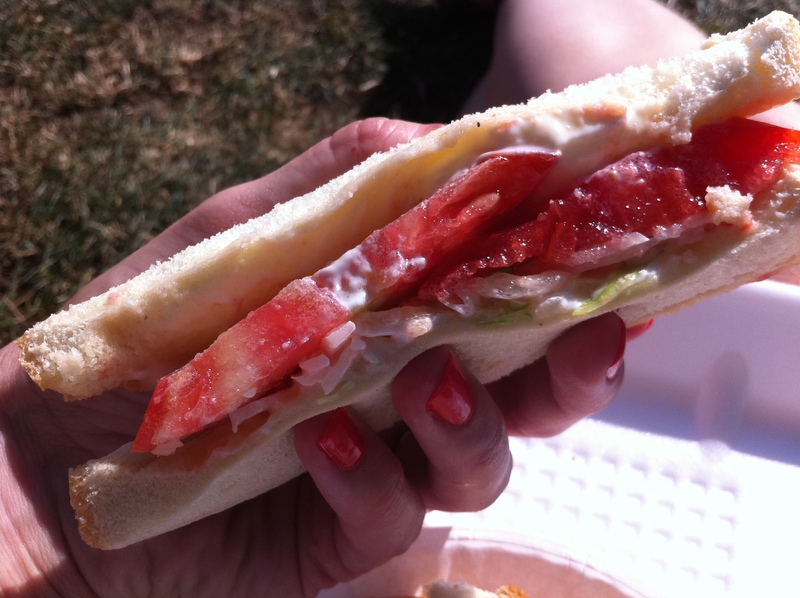 There is something about eating a tomato sandwich on a grassy hill across from the Susquehanna river that makes it taste like no other tomato sandwich that you could ever make at home. 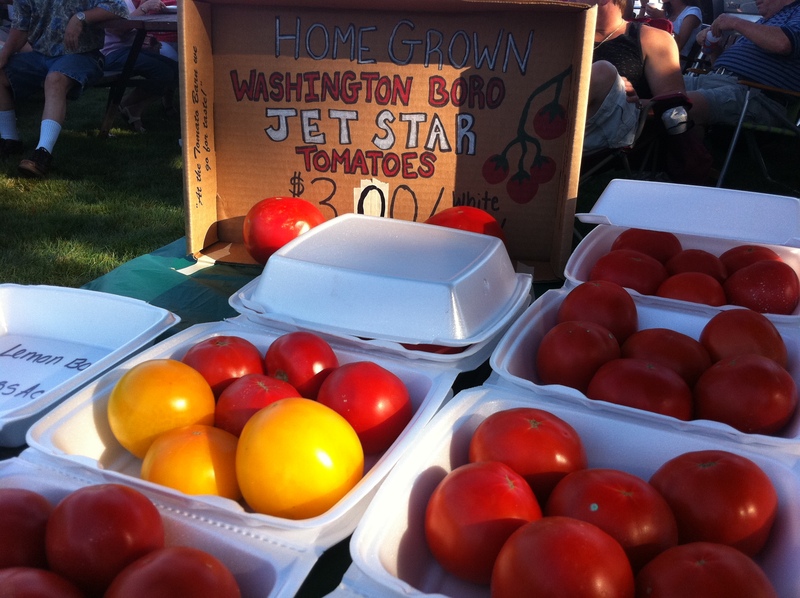 Jet star tomatoes, squishy white bread, lettuce, onions, mayo = the tomato festival sandwich. I don’t know how I love these so much. 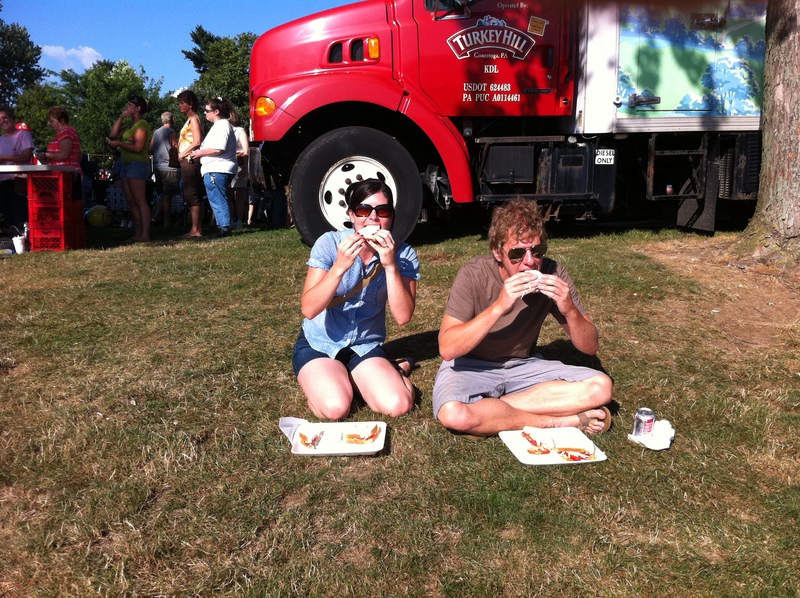 I don’t normally eat squishy white bread or mayo… it must be the magic of the river or something.